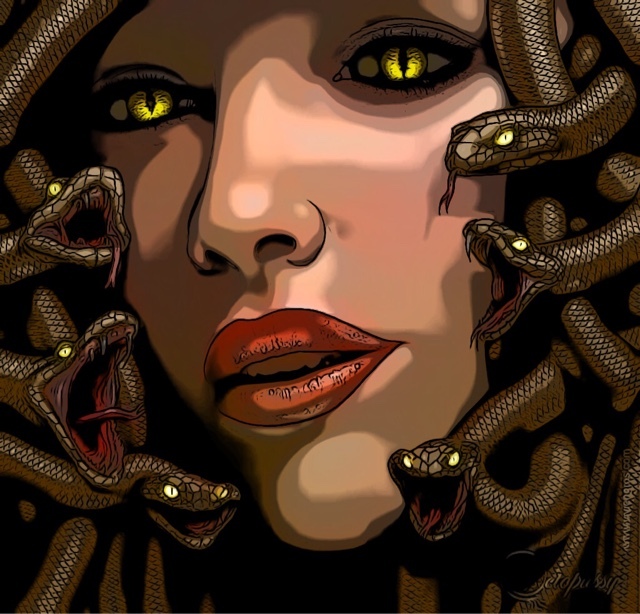 One of the snakes on a local gorgon’s head devoured a small pig late last night while the gorgon was asleep. When the mythical Greek monster woke up this morning, she couldn’t lift her head due to the dead weight of the animal in the snake’s digestive system. To make matters worse, the doctor that showed up on site to help was trying to calm the hysterical gorgon down and accidentally looked into her deadly eyes and was instantly turned to stone. The gorgon’s insurance provider said they wouldn’t send another doctor. Experts suggest that the gorgon might be stuck on the floor for another few days while the snake on her head digests the small pig.